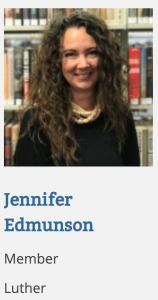 NOTE: Luther resident Jennifer Edmunson was appointed to the Oklahoma Metropolitan Library System to represent Luther and was kind enough to submit a column to catch us up about library news. Before I begin with what I have learned, let me share my third favorite holiday – The Oklahoma Library and Friends of the Library will have their annual Book Sale in the Made in Oklahoma building at the State Fairgrounds, Friday – Sunday, February 22-24, 2019. It is the sale that raises money for programs put on by our Libraries, first and foremost is the Summer Reading Program. Books sell from fifty cents for paperbacks to $1 for hardbacks, and there is a special room with individually priced books. TEACHERS – on Sunday, the books go to FREE after 6:00. Admission is FREE Saturday and Sunday, with Friends of the Library members getting access 1 pm – 9 pm on Friday, which is an expanded time from previous years. I wanted to share my third favorite holiday right off the bat in case no one reads further. But there is so much to tell. I am an avid Library user. I go to the library. I use their apps, Overdrive and Hoopla, and I have books sent to the library almost weekly. I am on one of the library’s apps or website every single day. So, it was a rude awakening when I attended the first Library Commissioners meeting and learned something new the library has to offer of which I was unaware. Did you know the Library has subscriptions and permissions for TONS of newspapers, journals, and magazines that are free for you to peruse? Some of the subscription sites you can only visit while at the Library, but still. I have been downtown to purchase printouts of the Journal Record several times. Never again. I just have to head to our local library and surf. I also learned I will not have to head to a copy shop for copies. I CAN PRINT ONLINE TO OUR LOCAL LIBRARY!! You hear that? I just print what I want and head to the library to pay a much cheaper per page cost and grab my pages. I learned about these two wonderful nuggets at our first meeting. At the January meeting, I learned about Lynda.com. It’s a website that offers more than 4,000 courses available for learning. I have also learned the tremendous work the people on this Commission do for the betterment of our communities. They have a tremendous task to allocate funds responsibly, meet needs in many diverse communities, build and equip, not just buildings but people as well. The library is so much more than books. It is opportunity and a springboard. If you do not have a library card, you can get one here http://www.metrolibrary.org/library-cards/apply or visit your local library. Download our apps and start enjoying Audiobooks, eBooks, music and movies. There is an entire world available right at your keyboard. Thank you again, Luther Town Board, for allowing me to sit in representation of Luther. It is an honor and a joy. hooray! i am excited that you are repping Luther and Oklahoma County at the Library Commisson! One thing to remember is you don’t have to go to the library to use a lot of the online resources. You just go to http://www.metrolibrary.org And log in with your library card was o use many of them! My favorite Library apps are Libby and hoopla and I think teachers could really find a lot of great educational documentaries and such in the Kanopy app to use in the classroom!